BUY TICKETS AND WORKSHOPS HERE NOW! 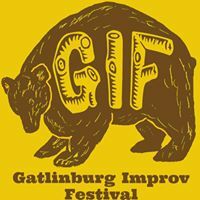 Free improv class! 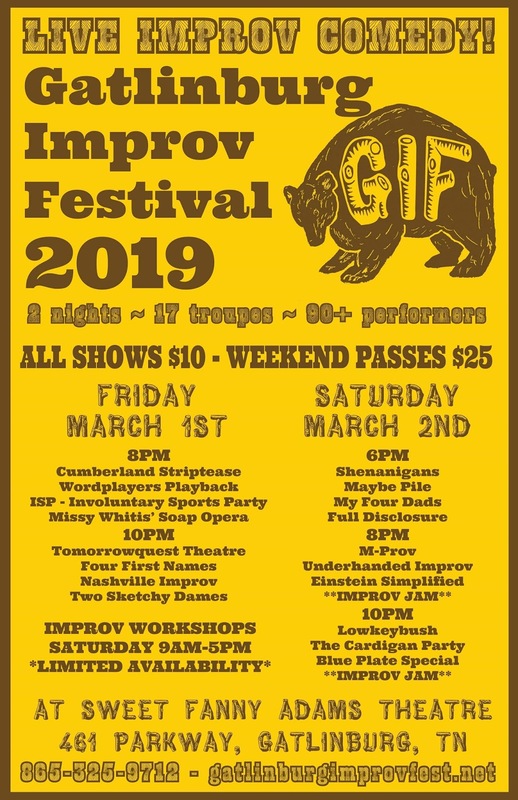 All the basics, what is this crazy thing called improv?, yes and-ing, making offers, accepting offers, and some basic short form games. And it’s free! James started performing with ComedySportz in Washington, D.C., in 1988 and has over 30 years of improv performing, directing, and teaching experience. Before moving to the Knoxville area he was the artistic and managing director, as well as a main ensemble performer, at SAK Comedy Lab in Orlando, FL. So You Think You Can Storytell!?! Once upon a time there was an improv troupe. And everyday, they told stories. But one day, they wondered if they might be trying too hard. Because of that, they attended this workshop to learn ways to enhance and fine tune their skills. Suddenly..... To be continued! To find out what this troupe learned, bring your entire gang to this storytelling skills workshop. You’ll leave not only better storytellers, but detail-driven monologists, and creative character-makers. Missy Whitis has been teaching improv for 20 years. She began her journey at the SAK Comedy Lab in Florida, (where she trained under GIF director James Newport), then went on to study with Hamilton Camp, and Second City co-founder, Paul Sills. When not coaching troupes, or teaching Screenwriting at the University of Cincinnati, Missy is a highly sought after corporate facilitator. Her clients include Hershey, GE Aviation, and Procter and Gamble, just to name a few. In this workshop, use improv techniques to center and focus your mind, recharge your body, and reclaim inner joy. You’ll learn how to use improv as a source of positivity and calm in your daily life and create healthy habits as an artist-from warm ups to performance to post show. Appropriate for all improv skill levels. Combined, Alison and Eileen have been performing improv for a billion years. They have been teaching it for half a billion. Eileen has taken classes/intensives at Second City, iO, Annoyance, and the Improv Retreat. Together and separately, they have taken workshops from esteemed colleagues all over the country. Kevin McDonald called them funny once and gave them all the change in his pocket. Seriously.This particular workshop sprouted from the idea that life is hard, but choosing joy and using the tenants of improv can fuel a more positive outlook. Improv is a superpower for good. Improvisation and Puppetry are two of the oldest forms of storytelling. The roots of which are based on colorful characters, relatable scenes, and physical movement. By studying the core ideals of each art form you can expand your own abilities as a performer. This workshop aims to provide you – the performer – with a specific set of techniques that will help you develop more robust characters, create more compelling scenes, and perform improv with puppetry in a powerful, confident manner. After more than a decade of performing around the country these are the same techniques that Underhanded Improv focuses on in every single show and has found to be effective in front of audiences. Peter Robards will lead you through some short intensive scene work, help you discover ways to quickly snap into character, and offer some personal feedback on how you play. Sam Locke will focus on the operation of hand puppets as tools for characters in improvisation and methods for creating powerful scenes via Puppetry. He’ll also cover methods for bringing the puppet to life using movement, posture, and your voice. In this workshop Paul will do a deep dive into character elements, and techniques to clearly establish them for the performer and the audience. Through a series of exercises you will see how to discover each of these elements, and begin the process of defining them quickly and completely during scenes. By the end you will have the necessary tools to build a fully developed character that the audience will remember by name. Paul Simmons is a founding member of Einstein Simplified, Knoxville’s premiere comedy improv troupe. He has performed a weekly show for 25 years, as well as teaching improv for 19. He has been in multiple independent films, local and national commercials, and festivals. He won best supporting actor for his role in the Fifty-Four film fest short “Armageddon or Whatever”. From beginning improv, through corporate training Paul has taught at all levels. From the start, it has been about fun and comedy through improv for him, and teaching others how to find the fun and comedy while enhancing their skill set. 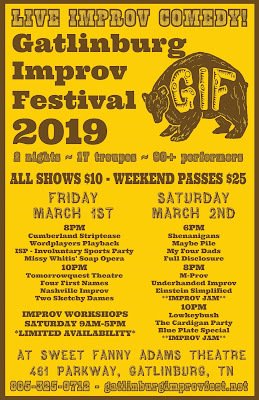 and our show schedule for gif 2019 is coming soon!!! 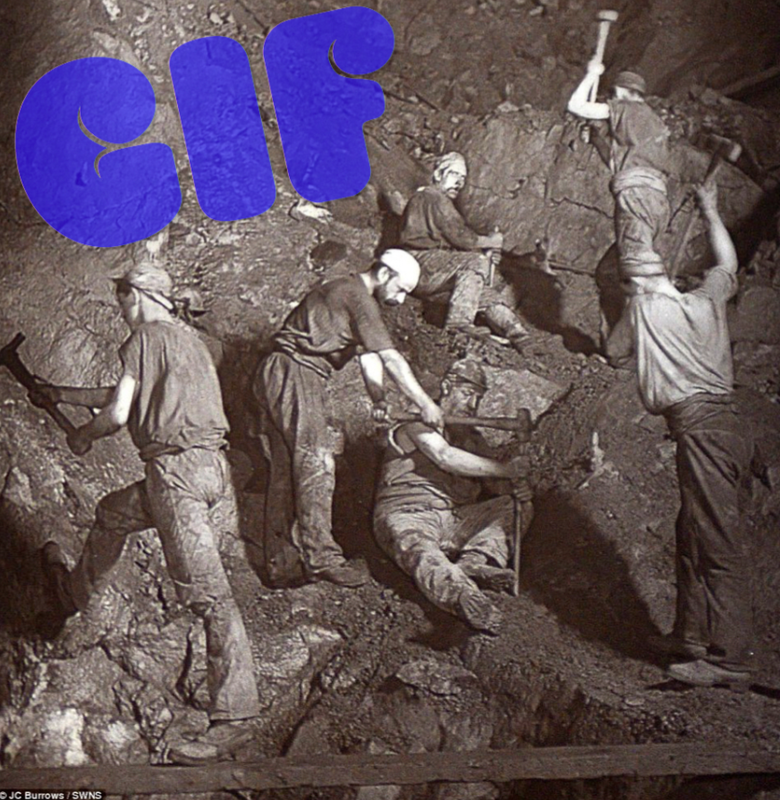 mining improv comedy gold for gif 2018! it's gonna be a comedy goldmine! 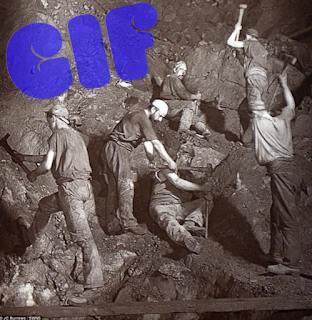 getting all the groups ready for gif 2018!